Poker is the hottest game around and the most played poker game is Texas Hold'em (See Texas Hold'em Poker Rules). In every country in the world gamble fans are playing Texas Hold'em games and it's seems that it's popularity is never ending. 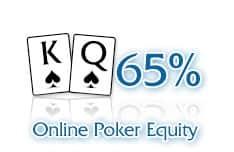 Playing Texas Hold'em for free on the internet at poker sites has become very popular over the last couple of years. Many are curious about the origin of Texas Hold'em, who invented the game? And who put the game on the internet? To answer these questions it is important to go back and discover the history of poker. 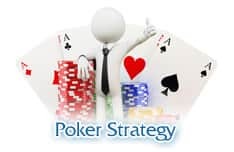 There are many different stories about how poker came into this world and their seems to be no solid proof of a predecessor of poker. Most stories agree that the game of poker is probably a version of several different games. Many people believe that Poker came from China around 900 A.D, like many other gamble games. The Chinese played this variant of poker not with cards since they weren't invented yet, but with nicely painted dominoes. The Chinese Emperor Mu Tsung introduced the game 'domino cards' in 969 A.D. and this is believed to be the oldest form of poker. A game from Germany called 'Pochspiel' is also considered to be a forerunner of poker as we know it today. The rules and the name of the game have some similarities. 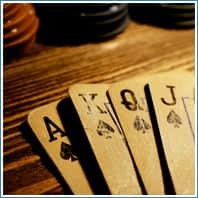 Another theory claims that poker came from India, were the game supposedly comes from the Indian card game 'Ganjifa'. Ganjifa existed of 96 painted playing cards and they were used for several different betting games. The most common believe is that Poker was born in France, from the French name 'Pogue'. This was a game that was played in the 15th century, with the card deck as we know it today, 52 cards and 4 suits. It was a card game that included bluffing and betting. The French colonials brought Pogue to Canada and after that to the United States in the beginning of the 17th century, but the game became a really popular in the beginning of the 18th century in New Orleans. During the American Civil War, many soldiers played the game to pass the time. From this first Pogue game, different versions evolved, like 'Stud' and 'Draw'. Pogue turned into 'Poker' in 1834 by a gambling fan called Jonathan H. Green. He learned how to play card games in prison. After his release he went to the Mississippi River to show off his new acquired skills and he became a professional card player. He discovered the different versions of the 'Pogue' game here. Green fell in love with this new game and since then he decided the game should be called Poker. 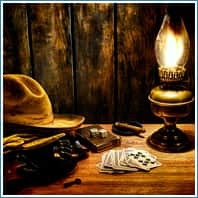 The true history of Texas Hold'em is a bit of an unknown. 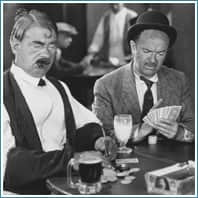 The story goes that the very first location where the game Texas Hold'em was ever played was in Robstown in Texas around 1900. What made Texas Hold'em really famous was the World Series of Poker Tournament. The WSOP has been in existance since 1970, where it took place for the first time at the Horseshoe Casino in Las Vegas, Nevada. The World Series of Poker continues every year in Las Vegas, although no longer at the Horseshoe. 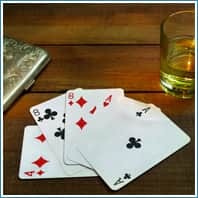 However, since shortly after the start of the tournament series, the game Texas Hold'em has been played by poker players all over the world. 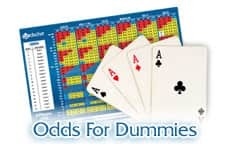 Thanks to the internet it is no longer necessary for gamblers to travel all the way to Las Vegas to get a piece of the Texas Hold'em and other poker action. Nowadays gambling is possible from people's own living room, in online casinos. 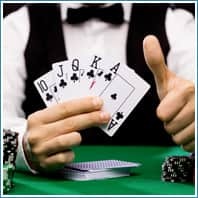 It's not quite clear what the first website was that gave players the opportunity to play Texas Hold'em games, because all the Texas Hold'em entered the internet approximately around the same time at the start of the success of online casinos, in the nineties of the twentieth century. Chris Moneymaker, WSOP champion in 2003 and Greg Raymer, winner of the WSOP 2004 main event were both qualified through poker rooms on the internet. Both these players are amateurs who won huge professional poker tournaments.